New teachers frequently face difficulties when handling young children. For this reason, they need to join early childhood care education course which teaches the ways to nurture and educate young children. The teachers will need to follow many principles while nurturing the children. Her main objective is to assist in the development of the different abilities in children. They will be taught some basic tasks like counting the numbers, playing other children etc. The main principle is to observe the children and notice their behavioral patterns and talk to their parents when required. The above-mentioned course also helps the teacher to gain experience on the reaction and response of children on the various situations. The course defines and describes the many the aspects of child psychology and how to help them in their growth. Expert child educators know the many processes of nurturing children in their early levels. However, to do so, a proper qualification is required and after completing this course they will be able to guide children to the fullest. There are many approaches to caring for children and the course will give a detailed overview of the methods or provide care. By joining this course the teachers will also be able to nurture disabled children. Early childhood educators will involve the child in interactive activities like playing and taking part in both indoor and outdoor games. At the early stage, the educators will identify and cater to the needs of the young children. They must assist in the development of social, physical and cognitive abilities on children. At present there many teaching institutes which are imparting this course due to the demand of early childhood education. The educators will motivate the children at all times so that they can complete any task in a hassle-free manner. Below, we will see some of the processes of early childhood education. Development of physical abilities is very important for the development of a child. The educators will focus on the physical aspects of the child and will implement the ways for the development. They will design activities which will include the development of sensory motor skills in the child. The educators will interact with the children to see if they are satisfied with the skills. Apart from games, the educators will involve the children in some light physical exercises for a good health. Teaching proper behaviour in the early years is a must. The educators will guide the children to follow certain disciplines in their homes which is a must. They will also teach them how to behave properly with others. The educators will talk to the children at times to see if they are facing difficulties in their homes or in their classrooms. Cognitive development is the development of memory and awareness. The children need to have a good memory to recall and understand what they have seen or experienced. 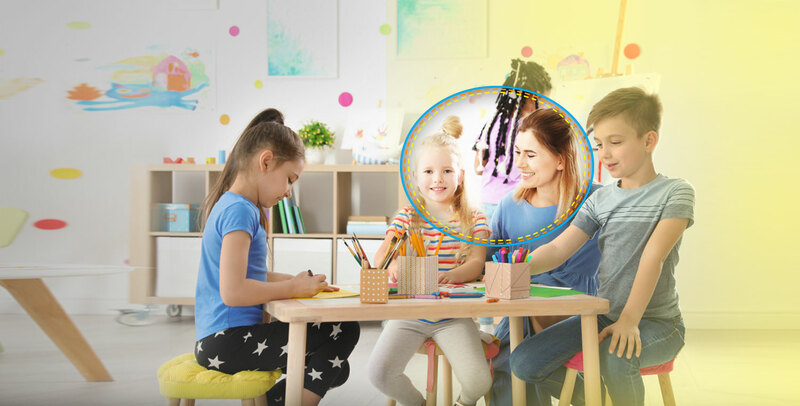 The educators will give the children easy puzzles to solve and teach problems solving techniques so that they get a boost in their memory power. More on this topic can be known by taking up a course on early childhood care education from an organization. The early childhood educators will communicate with the children in the language in which they feel easier. The medium of expression plays an important part in the development process because they will communicate the problems with their teacher in the language in which they find suitable. Communicating in the language that the children find easier is essential because the educators will be able to learn their needs. The educators will also try to enrich the language of the children so that they can pronounce words in an efficient manner. Psychological development is the level of maturity that grows in a child with age. The early educators will observe the children’s behaviour to see if they are learning fast or if they are forgetting things quickly. They will also take a look at their ability to recall, their attention towards the teacher etc for an analysis of their behaviour. To analyze the behavioural aspects it is better to take up an early childhood care education course at an institute. The teachers will focus on the development of a standard curriculum focusing on health and hygiene of a child. Their curriculum will consist of an assessment of progress in a school and at a home along with talking to special needs counsellors. Stimulating children to accelerate the cognitive development. Coordinating and cooperating with parents to get reports about their children’s activities in schools. Establishing a positive environment to accelerate learning in the home or the school. A healthy environment always creates positivity in Therefore the educators will at times tell stories to children which have a positive meaning. The early childhood care educators will also play some simple games of question answers with students. They will ask questions regarding characters in a story, about places or objects in nature. A child will answer the question with interest or may ignore it totally or he may try to answer it but is unable to do so since he has forgotten the answer. These are natural traits of children. But then again, if the educator finds something unusual in their mannerisms, they will consult with the parents and specialists. These are some of the early childhood development techniques for teachers committed to nurturing children. 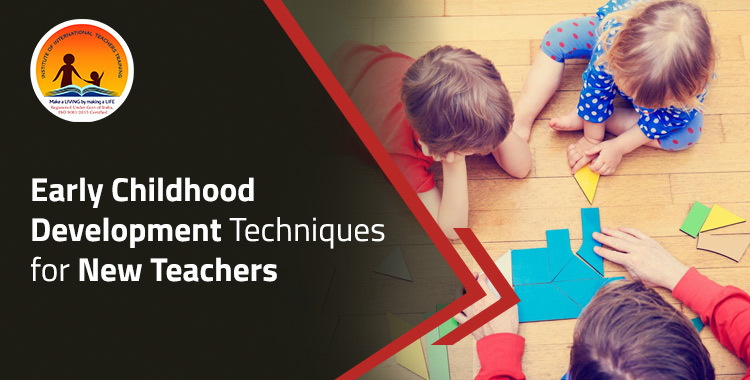 All of these can be learnt from a course on early childhood care education that is provided by many training organizations like Institute of International Teachers Training who are reputed teachers’ training organizations. These organizations devote themselves to offering comprehensive courses for aspiring teachers who would like to nurture and teach children at their early levels.